Liputan6.com, Surabaya - Dana senilai 1,5 triliun dari Pemerintah Pusat siap digelontorkan pemerintah kepada PT PAL Indonesia (Persero) pada minggu depan. Dengan turunnya dana tersebut PT PAL siap mengerjakan proyek pembuatan kapal selam. Kepala Staf Kepresidenan, Luhut Binsar Panjaitan menjelaskan, proses pencairan dana Rp 1,5 triliun untuk PT PAL sudah sampai di Sekretariat Negara dan sudah diajukan kepada presiden. "Kami harapkan by next weeks sudah bisa cair, turun Rp 1,5 triliun untuk proses pembuatan kapal selam," tuturnya, Kamis (28/5/2015). Direktur Utama PT PAL Indonesia, M. Firmansyah Arifin juga menegaskan bahwa dana tersebut untuk proses pembuatan kapal selam. "Itu untuk proses pembuatan kapal selam. Dan bisa dilihat, proses pembuatan kapal selam sudah mulai jalan," katanya. Dia menambahkan, PT PAL saat ini sudah melakukan berbagai macam inovasi diantaranya adalah merevitalisasi peralatan produksi dan penataan sumber daya sehingga perusahaan tersebut kembali menggeliat dan diperhitungkan dikancah nasional hingga internasional. "Selain tekad yang kuat dalam mendukung perkembangan industri maritim, saat ini kami sedang dalam proses pengerjaan proyek 2 kapal PKR pesanan Kementerian Pertahanan RI yang bekerjasama dengan DAMEN, Belanda dan 2 kapal SSV pesanan Angkatan Laut Filipina," tandasnya. Luhut juga mengatakan, selain mendapat kucuran dana Rp 1,5 triliun, PT PAL juga akan mendapatkan suntikan dana dari pemerintah senilai Rp 25 triliun. Dana tersebut akan digelontorkan dalam 5 tahun ke depan yang bakal digunakan oleh perseroan untuk memproduksi 500 unit kapal niaga. Menurut Luhut, setelah mengadakan inspeksi ke pabrik PT PAL dan melihat fasilitas yang dimiliki oleh PT Pal, ia melihat bahwa kucuran dana Rp 25 triliun tersebut memang pantas didapat oleh perseroan. Pasalnya, semua sarana dan prasarana pembuatan kapal telah dimiliki oleh PT PAL. "Tadi saya lihat ada fasilitas untuk pembuatan kapal perang, kapal kawal rudal dan semuanya. Jadi mulai dari nol semuanya dipersiapkan oleh anak bangsa," tuturnya. Dia menambahkan, langkah pemberian dana kepada PT PAL tersebut sesuai dengan misi Presiden RI, Joko Widodo (Jokowi) yang memang mengedepankan produk dalam negeri sehingga menciptakan lapangan kerja. "Tapi tentunya harus memperhatikan kualitas kontrol dari produk kapal itu sendiri," tandasnya. 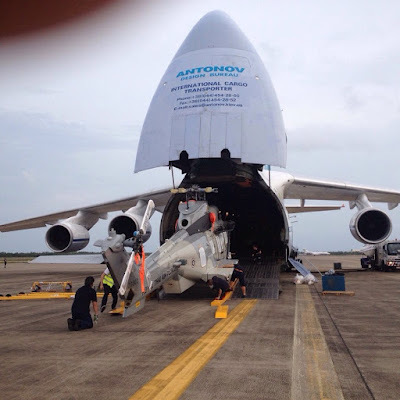 The Philippine Air Force deployed to Fort Magsaysay, Nueva Ecija on May 28 its LC-210 aircraft which is dedicated for rainmaking operations being operated and maintained by the 900th Air Force Weather Group led by the Group Commander Col. Lauro Tianchon. The said aircraft will carry out rainmaking missions over Angat Dam, Pantabangan Dam and other areas as requested by Bureau of Soils and Management. 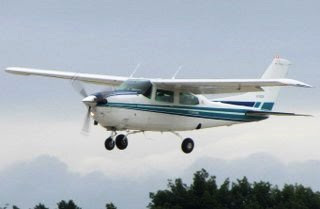 The LC-210 aircraft is based at Fernando Air Base, Lipa City and can be sent in any part of the country for rain-making operations. Air Force Weather Technicians MSgt. Moleta and TSgt. Fabro of the 900th Air Force Weather Group distributed 357 sacks of sodium chloride and assisted the successful conduct of rainmaking operations over the province of Negros Occidental using a chartered Piper Aztec aircraft last April 23 to May 12. Weather Technicians dispense sodium chloride during cloud seeding operations. They also provide and specialized meteorological services, including meteorological observations, forecasts, in rainmaking and climatological studies to support the AFP and the other Government agencies. 900th Air Force Weather Group tracks and monitors all weather disturbances inside the Philippine Area of Responsibilities and performs meteorological watch in all PAF bases, sites and TOG’s including issuance of terminal and station forecast. They also repair and maintain all meteorological equipment. MELBOURNE, Australia — The long-awaited Australian defense white paper will likely be released in July, fulfilling a promise made when the Liberal government of Prime Minister Tony Abbott took office in late 2009. The document will spell out Australia's strategic defense priorities for the foreseeable future and the attendant Defence Capability Plan (DCP) will include new acquisition projects over the coming decade. The DCP likely will include new frigates and submarines for the Royal Australian Navy, an armed unmanned aerial system and VIP aircraft for the Royal Australian Air Force (RAAF), and follow-on orders of armored fighting vehicles for the Australian Army — capabilities the white paper probably will underscore. The new equipment will be in addition to current acquisition projects, which include three air warfare destroyers (AWDs), 72 joint strike fighters and the first tranche of the Land Combat Vehicle System (LCVS) program of mounted combat reconnaissance vehicles. But the defense organization as a whole is facing reorganization, with far-reaching implications for future procurement, following the First Principles Review, a report on the acquisition process released April 1 by Defence Minister Kevin Andrews. One result of the review: The Defence Materiel Organisation (DMO), which performs acquisition and sustainment for the Australian Defence Force, is to be merged back into the force. DMO is staffed by a mix of civilian and uniformed personnel. The government pledged to undertake the review upon coming to power, and Andrews said the shortcomings it identified will be urgently addressed. "These include a proliferation of structures, processes and systems with unclear accountabilities, which in turn cause institutional waste, delayed decisions, flawed execution, duplication, over-escalation and issues for decision, and low engagement levels amongst employees in parts of the organization," Andrews said. "So this review proposes a transformational change across Defence, to ensure that it can deliver on future requirements that will be outlined in the government's forthcoming white paper and related documents. To achieve this, Defence must move from a current inefficient federated approach into a single, integrated organization that delivers an enhanced joint capacity." The report is titled "Creating One Defence," and the majority of its 75 findings agreed to by the government will be implemented over the next two years. While the specifics of future acquisition will not be fully known until the white paper's release, significant capabilities have been added to all three services in recent years, and this is set to continue with the government's promise to return spending to 2 percent of gross domestic product by 2023-24. Andrews reiterated that commitment April 1. 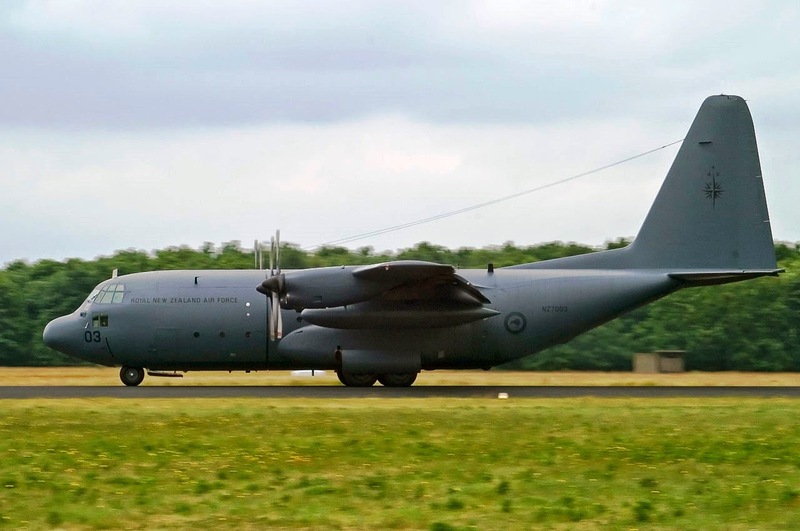 The Royal Australian Air Force (RAAF) received the first two of 72 Lockheed Martin F-35A Lightning II joint strike fighters last year and this year will receive its first Alenia Aermacchi C-27J Spartan battlefield airlifters. In July, the first Boeing EA-18G Growler is due to roll off the production line in St. Louis and, after a period of testing with the US Navy, will be delivered to the RAAF. This will mark the first export for Growler and from 2017 the RAAF will be the only service outside the US Navy to have a dedicated airborne electronic attack capability. Australian crews are already training with the US Navy at Whidbey Island, and some will be posted to US expeditionary Growler squadrons on completion. "We need time to not only complete Growler training, but also understand how to properly support, task and operate the aircraft, because it is a capability the ADF has never had before," said Wing Commander Paul Jarvis, the acting director of the RAAF EA-18G Transition Team. "It will enhance ADF awareness in the electro-magnetic spectrum." The Royal Australian Navy commissioned the first of two 28,000-metric-ton landing helicopter dock (LHD) amphibious warfare vessels in late 2014 and the second follows this year. 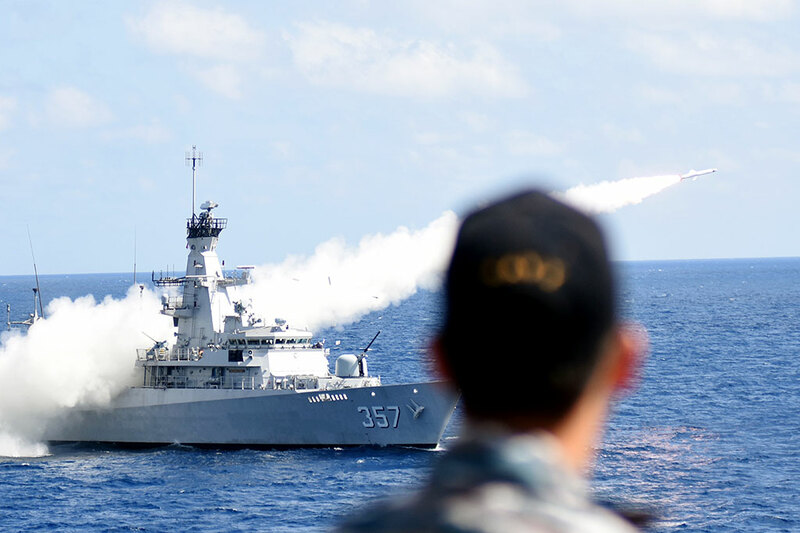 Together with the ongoing Anzac-class frigate Anti-Ship Missile Defence (ASMD) program, this has added to the surface fleet significant new capability that will be further enhanced when the three Hobart-class air warfare destroyers (AWDs) enter service later in the decade. The AWD program has been delayed, however, and there is a debate over the future of Australia's naval shipbuilding industry and its future viability. 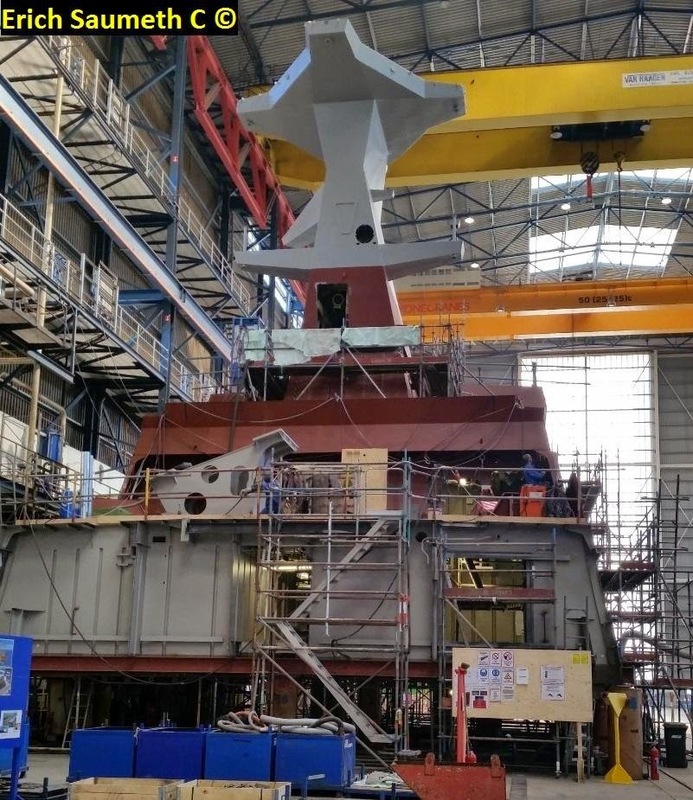 Australia plans to build up to 12 large conventionally powered submarines, eight frigates and a number of patrol boats in the next decade, but industry has concerns that vital shipbuilding skills are being lost as work on the AWD and LHD programs winds down. In mid-April, Andrews released a report on Australia's naval shipbuilding enterprise, undertaken on behalf of the government by the Rand Corp. Although submarine construction was not included in the terms of reference, the report found that Australia could sustain a naval shipbuilding program, subject to industry reform and careful management of a continuous shipbuilding strategy. Options for this include a fourth air warfare destroyer in the interim and a rolling build program for the future frigate. "This government is prepared to invest in the skills and knowledge base of the Australian naval shipbuilding industry, and is prepared to commit to a long-term investment to make sure this important industry enjoys a future in Australia and these critical skills are maintained," Andrews said. Andrew Davies, a senior analyst with the Australian Strategic Policy Institute, considered in that organization's "The Strategist" blog that the report is a "valuable contribution" to the debate on Australia's future shipbuilding aspirations. "No doubt it would've been better if the analysis had included submarines as an addition to the baseline surface shipbuilding it examines, but it still answers some important questions," Davies wrote. "Perhaps most importantly, it provides a solid estimate of the premium the Australian taxpayer currently pays for local construction, and what the 'best case' figure might be in the future." Australia early this year issued to industry a request for tender for the first phase of its largest-ever land warfare program. There are significant questions about the initial phase, and it is not yet clear which industry teams will bid and how much of the vehicle will be assembled in Australia. Boeing and Iveco-Oto Melara announced in April they would withdraw from the competition, but did not give specific reasons. Further industry announcements are expected as June approaches. MANILA (PNA) -- With the commissioning of BRP Lake Caliraya (AF-81), the Navy's first oil tanker, patrol ranges of the three Jacinto class patrol vessels have been extended by another 2,500 nautical miles while the two Gregorio Del Pilar frigates have boosted theirs by another 14,000 nautical miles. This was disclosed by Philippine Navy (PN) flag-officer-in-command Vice Admiral Jesus Millan in a message to the PNA. The Jacinto class patrol vessels have a maximum unrefueled range of 2,500 nautical miles while the Gregorio Del Pilar frigates have a maximum unrefueled range of 14,000 nautical miles. Millan added that having AF-81 in their inventory greatly boosted the patrol and endurance capabilities of their ships. "As long as she (AF-81) has sufficient fuel stocks aboard, she can refuel any of our floating assets 24/7 to ensure their continuous patrol and maximize the presence of our floating assets," he added. 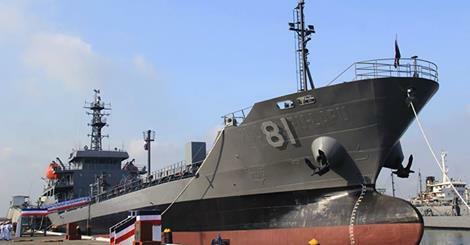 The BRP Lake Caliraya was commissioned at Naval Station Pascual Ledesma, Fort San Felipe, Cavite City last May 23. She was the former M/T Lapu-Lapu of the PNOC Shipping and Transport Corporation that was donated to the PN last March 26, 2014. 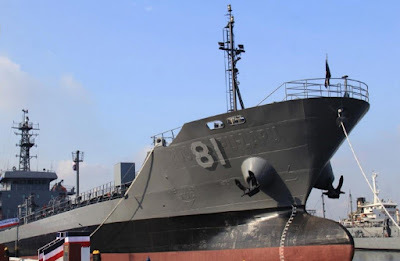 The BRP Lake Caliraya is a single product replenishment platform that has a depot-to-ship, ship-to-depot, and a ship-to-ship refueling capabilities. AF-81 was one of the three largest vessel of PNOC Fleet. She was built in Zhejiang Zhongxing Shipyard in Taizhou Peoples Republic of China in November 2007. The sailing crew commissioned by the PNOC brought the ship from Taizhou, China to Manila, Philippines in January 2008. The ship was used by the PNOC in transporting mainly bunker fuel to the different ports in the Philippines. 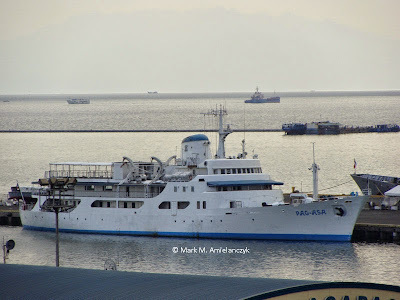 On May 11, 2014, the ship was brought from its anchorage area in Bataan to Keppel Shipyard, Bauan, Batangas to undergo dry docking and other related repairs. She was then brought to Naval Shipyard, NSPL, Cavite City to undergo structural, habitability, machinery, and piping repairs. AF-81 was named after Lake Caliraya, a beautiful lake located in the province of Laguna. As the lake provides a source of livelihood sustenance for the people of Caliraya, AF-81 on the other hand, will support the sustainment of naval operations. With her modern replenishment and refueling gear, she will be central to facilitating and sustaining the operations of our Fleet in the operational areas. AF-81 is commanded by Lt. Cmdr. Mamerto A Goleta PN and manned by selected officers and men of the Sealift Amphibious Force. 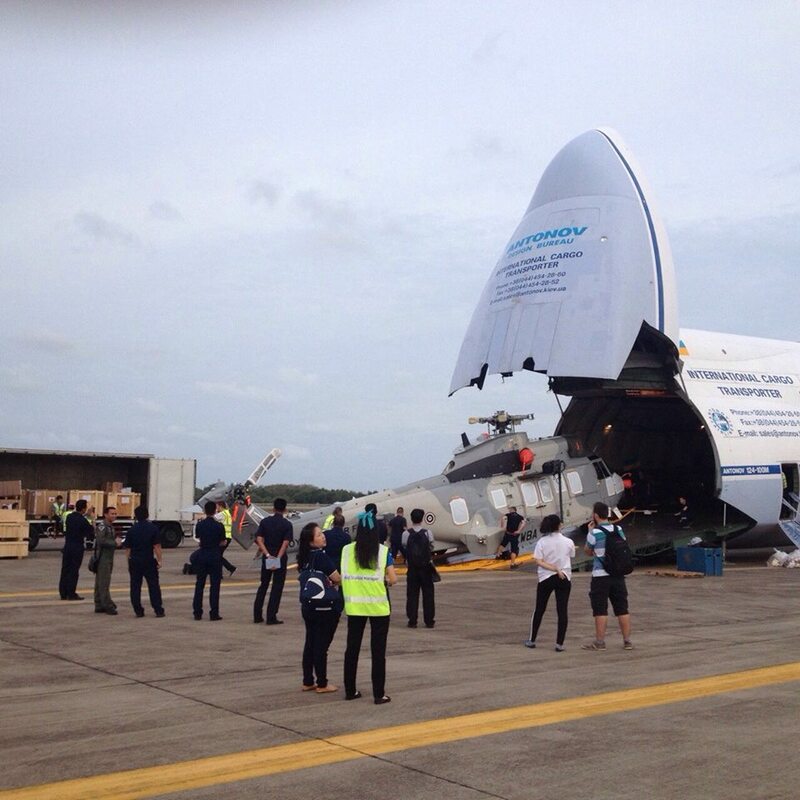 Dua pertama dari helikopter medium Combat SAR buatan Airbus Helicopter EC-725 dengan menumpang pesawat angkut raksasa Antonov An-124 telah tiba ke bandara U-Tapao Thailand sekitar 100 km selatan Bangkok pada tanggal 26 Mei lalu. Di U Tapao helikopter ini akan dirakit dan selanjutnya diterbangkan ke Wing 2 di Lop Buri yang merupakan markas kesatuan heli transport/utility dan SAR Angkatan Udara Thailand..
Sesuai kontrak batch pertama yang terdiri dari 4 unit helikopter akan diserahkan pada bulan Agustus 2015, namun dengan kedatangan ini dua helikopter pertama akan diserahkan bulan Juni sedangkan dua selanjutnya pada bulan Juli. MANILA (PNA) -- In line with its efforts to develop its external defense capabilities, Philippine Navy (PN) flag-officer-in-command Vice Admiral Jesus Millan said that plans are now afoot to develop a submarine arm. 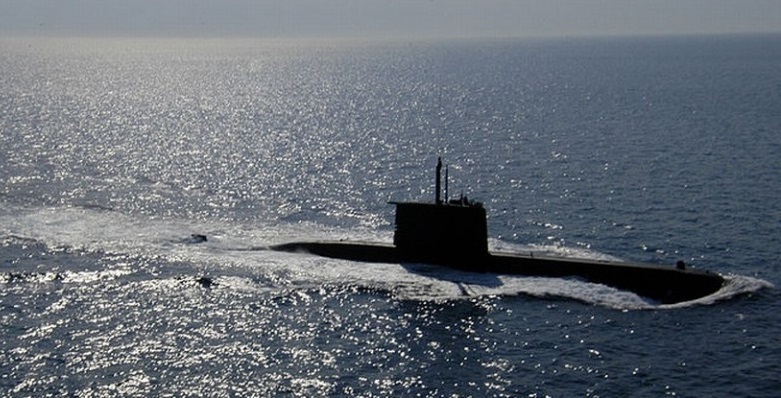 However, he said that developing this capability will take time as a submarine capability requires a long gestation period in order to develop support facilities and the people and technology of operating such a force. "(Development of a submarine capability) cannot happen overnight. It will take us some time," Millan stressed. What is being done now is learning the concept and challenges of submarine operations. "That’s why we in the Navy have taken the initial step to establish a unit which still start learning about this discipline and eventually prepare our personnel who will be involved in the creation of such capability," the PN chief said. Submarine warfare consists primarily of diesel and nuclear submarines using torpedoes, missiles or nuclear weapons, as well as advanced sensing equipment, to attack other submarines, ships, or land targets. Submarines may also be used for reconnaissance and landing of special forces as well as deterrence. In some navies they may be used for task force screening. Military studies revealed that the Philippines need between three to six diesel electric submarines to fully secure its maritime domain. Jakarta - KRI Bung Tomo-357 melakukan uji coba sistem persenjataannya dengan meluncurkan Rudal Exocet MM-40 Blok II di Laut Jawa. Uji coba ini dilakukan untuk mengetahui kemampuan sistem senjata armada terpadu (SSAT) yang dimiliki TNI Angkatan Laut. Peluncuran rudal Exocet MM-40 Blok II di Perairan Laut Jawa, Kamis (28/5/2015) disaksikan Kepala Staf Angkatan Laut (KSAL) Laksamana TNI Ade Supandi yang didampingi sejumlah pejabat Mabes TNI. 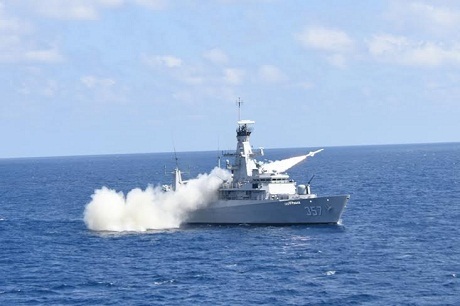 KRI Bung Tomo yang merupakan kapak perang jenis multi role light frigate (MLRF) dikomandani Kolonel Laut (P) Yayan Sofiyan. 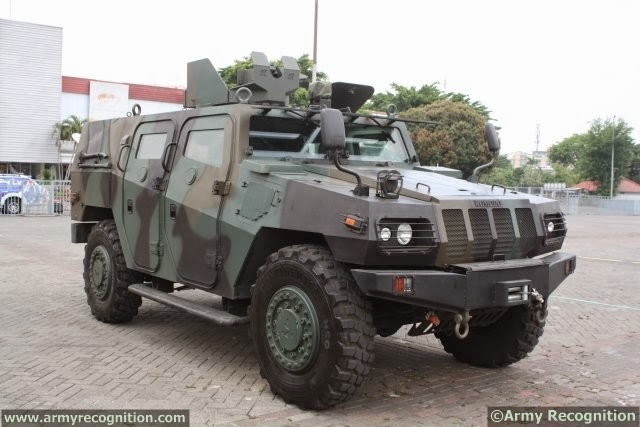 Laksamana Ade Supandi dalam keterangannya mengatakan rudal Exocet MM-40 Blok II merupakan generasi kedua yang dimiliki TNI AL setelah Exocet MM-38. Nantinya TNI AL akan memiliki Blok III sebagai generasi terbaru. Selain untuk menguji keandalan rudalnya, uji coba rudal Exocet MM-40, dilakukan juga untuk menguji sistem yang ada di KRI Bung Tomo-357. Uji coba ini penting untuk mengetahui kesiapan tempur KRI Bung Tomo. Kepala Dinas Penerangan Komando Armada RI Kawasan Timur, Letkol Laut (KH) Maman Sulaeman, mengatakan tahapan-tahapan kegiatan peluncuran rudal Exocet MM-40 Blok II berjalan mulus. "Penembakan Exocet MM-40 di Laut Jawa bukan satu-satunya uji coba yang dilaksanakan TNI Angkatan Laut. Karena dilakukan juga uji coba terhadap sistem persenjataan lain, seperti torpedo, meriam maupun rudal jenis lain, yang berguna dalam rangka menguji kesiapan kapal sebelum nantinya kapal tersebut digunakan sesuai proyeksi kekuatan dari Panglima TNI," ujar Maman. BANDUNG, suaramerdeka.com - Pasukan Khas TNI AU membutuhkan sebanyak 119 kendaraan tempur dan taktis buatan PT Pindad dalam menunjang operasional di lapangan. Ranpur tersebut akan memperkuat batalyon komando dan detasemen khusus yang dimiliki. Hal tersebut dikatakan Komandan Korps Paskhas TNI AU, Marsekal Muda TNI Adrian Wattimena di sela-sela kunjungannya ke kawasan Pindad Bandung, Kamis (28/5). “Produk Pindad siap mendukung kebutuhan ranpur kami. Pindad siap memenuhi semua kebutuhannya. Semoga terealisir, karena semua tergantung penganggaran,” katanya. Secara keseluruhan, katanya, pihaknya membutuhkan kendaraan-kendaraan tempur bagi pemenuhan mobilitas prajurit yang tersebar di 9 batalyon komando dan 5 detasemen khusus. Jenis kendaraan tempur yang dibutuhkan adalah Panser Anoa dan Rantis Komodo. Selain untuk angkut personil, varian Anoa yang diinginkan adalah yang mempunyai spesifikasi intai, recovery, ambulans, hingga logistik. Dari kebutuhan 119 unit tersebut, semuanya terbagi rata untuk jenis Anoa maupun tactical vehicle seperti Komodo. Selama ini, Paskhas memenuhi kebutuhan tersebut dari luar negeri. Dirut Pindad, Silmy Karim menegaskan pihaknya siap memenuhi kebutuhan tersebut. Selama ini, BUMN strategis itu terus melakukan pengembangan sehingga diharapkan produk yang dihasilkan bisa diandalkan termasuk masukan dari klien. “Ini merupakan komitmen bersama untuk mendukung Pindad ke depan. Proses Litbang terus dilakukan. Kami pun melibatkan pengguna dalam proses itu karena pengguna adalah pihak yang paling mengetahui detail produknya,” jelasnya. 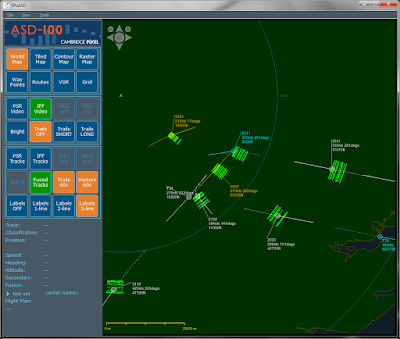 CAMBRIDGE, United Kingdom - The Royal Thai Air Force (RTAF) has selected Cambridge Pixel (www.cambridgepixel.com), a developer of radar display and tracking subsystems, to upgrade its air defence capability at several strategic sites across the country, including air force bases and training facilities. 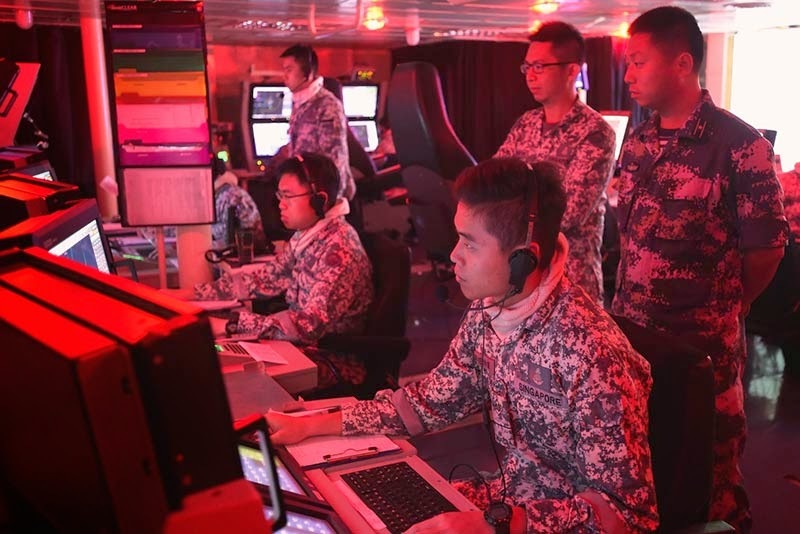 Engineers at the Royal Thai Air Force headquarters at Don Muang Airbase, Bangkok, Thailand, were looking for a cost-effective way to upgrade their legacy air defence processing and display hardware without replacing the existing and expensive radar sensors. A key requirement of the upgrade was to reduce long-term maintenance costs by using commercially available (COTS) products while adding new tracking, safety and display features. These included delivering improved target tracking from both the primary and IFF (identification friend or foe) sensors, track fusion, safety alerts and then presentation of the integrated data on a large, clear PPI (plan position indicator) display on top of user-selectable maps. 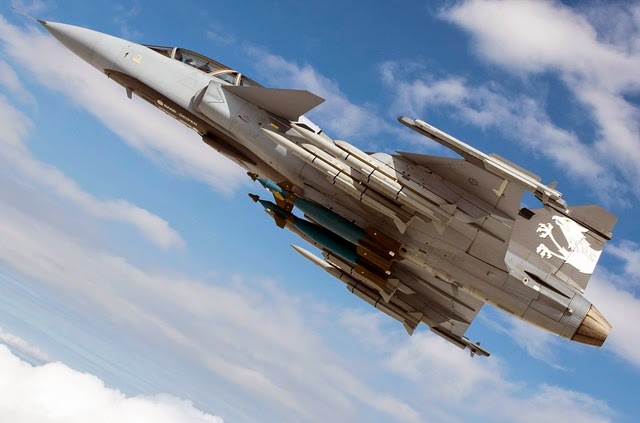 The Royal Thai Air Force selected Cambridge Pixel because it was able to offer a cost-effective solution that employed the existing sensors, thereby saving considerable costs, but upgraded the processing and display to provide the enhanced capabilities needed in a modern implementation. Commenting on the project, Group Captain Thouchpong, said: "We were very pleased with Cambridge Pixel. 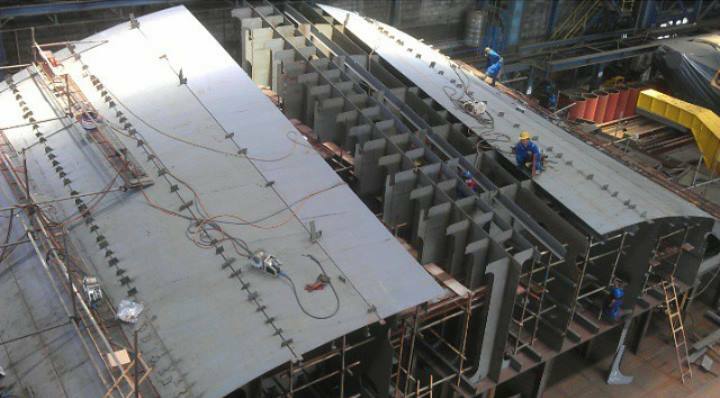 Their engineers understood what we needed and provided excellent support during the installation and deployment of the first two sites at Udon Thani and Nakhon Pathom. We now have an upgraded capability based on COTS products, which promises reduced long-term maintenance costs. We are looking forward to continuing the collaboration by upgrading the air defence systems at our other airbase facilities." 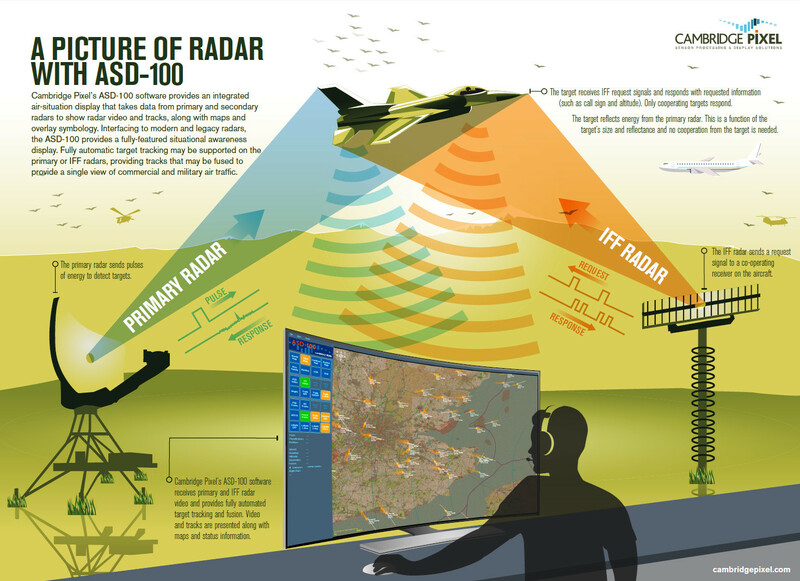 Cambridge Pixel has supplied RTAF with its radar processing and tracking products which interface to the existing primary and secondary (IFF) radars to provide upgraded target tracking from the primary and IFF sensors and fusion into a single track source. The display is handled by Cambridge Pixel's ASD-100 air situation display software, which provides an integrated display picture of primary and secondary video and tracks that are overlaid on maps. The software runs on standard PC hardware, thereby reducing costs of maintaining the system. David Johnson, CEO of Cambridge Pixel, said: "This is another excellent export contract for Cambridge Pixel and it demonstrates, yet again, that the combination of our innovative software technology, radar engineering expertise and commitment to customer service is attractive to companies the world over. 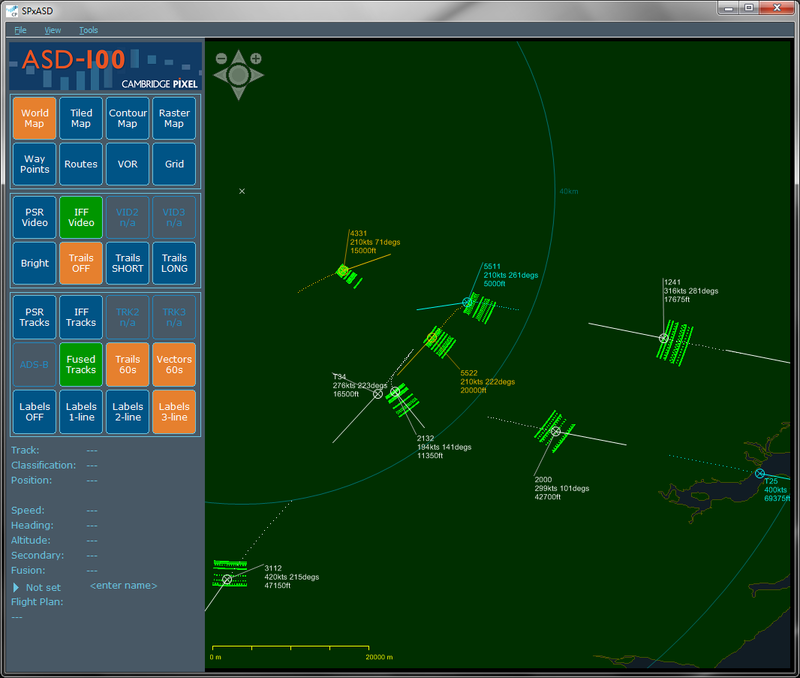 "By combining our software modules for target tracking and fusion with our ASD-100 display application, we have offered a highly cost-effective upgrade to RTAF. For this project it was important that we could work with the existing radars, and our range of hardware interface cards and radar processing modules was a good match for the requirement." Cambridge Pixel's hardware-agnostic SPx suite of software libraries and applications provide highly flexible, ready-to-run software products or 'modules-of-expertise' for radar visualisation, radar video distribution, plot extraction, target tracking and fusion. The company's ASD-100 air situation display provides an operator with a complete and integrated picture of everything in the skies, military or commercial air traffic, whether friend or foe. This application can interface to a number of different ASTERIX data inputs including CAT-240 (radar video), CAT-48 (track reports) and CAT-4 (safety alert messages). 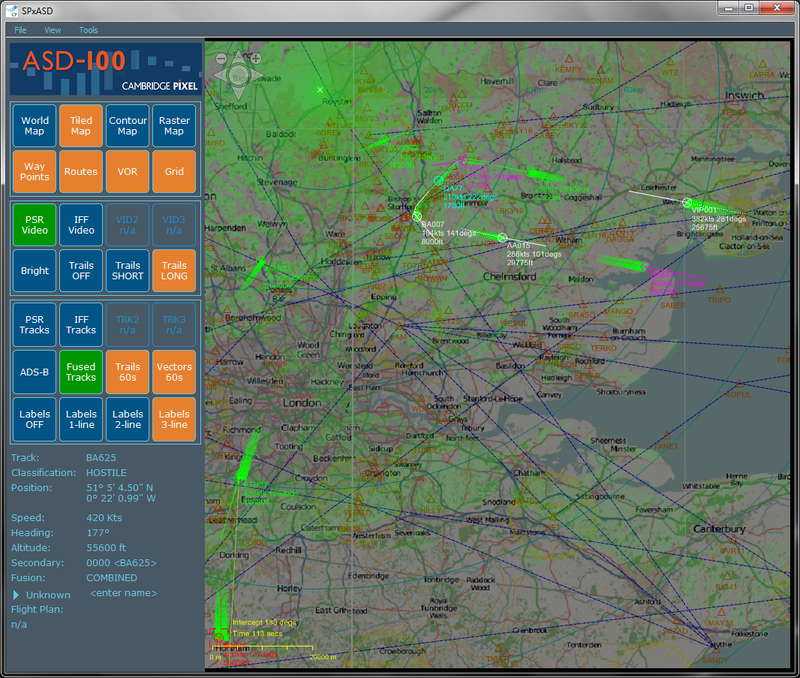 Safety alerts such as short term conflict alerts, area proximity warnings and minimum safety altitude warnings may be sent to the ASD-100 display using Cambridge Pixel's SPx SafetyNet server application. 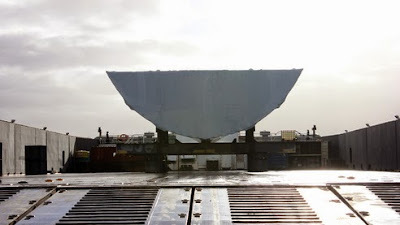 Cambridge Pixel's technology is used in naval, air traffic control, vessel traffic, commercial shipping, security, surveillance and airborne radar applications. Its systems have been implemented in mission critical applications with companies such as BAE Systems, Frontier Electronic Systems, Barco Defense, Blighter Surveillance Systems, DRS, Exelis, Kelvin Hughes, Lockheed Martin, Navtech Radar, Raytheon, Samsung Thales, Sofresud and Tellumat. KAMPONG SPEU, Cambodia - China delivered army vehicles and spare parts to Cambodia on Saturday for a training program in auto-repair class at the Infantry Institute, officials said. 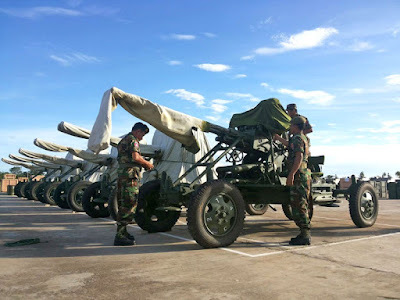 The grant aid included 44 different-type military vehicles, 20 elevators, 4 kitchen trailers, spare parts, and materials for an automotive workshop, said Chao Phirun, director of the Cambodian Defense Ministry's technical materials and logistics. The handover ceremony was held at the Infantry Institute in west Cambodia's Kampong Speu province between Chinese Ambassador Bu Jianguo and Cambodian Deputy Prime Minister and Defense Minister Tea Banh. Speaking at the event, Ambassador Bu said China and Cambodia are good neighbors, friends, brothers and partners, and the aid was to assist Cambodia in human resources development. "I believe that these vehicles and materials will help strengthen training capacity for Cambodian military personnel," she said. Tea Banh said the assistance truly reflected China's willingness to building human resources for the Royal Cambodian Armed Forces. "These equipment and materials are very necessary to use for training Cambodian cadets," he said. Jakarta (ANTARA News) - Badan Keamanan Laut (Bakamla) akan menambah pangkalan atau zona maritim yang tersebar di wilayah perairan Indonesia dengan membangun tujuh zona maritim guna mendukung sektor keamanan di laut. Kepala Bakamla, Laksamana Madya Maritim Desi Albert Mamahit kepada wartawan di Kantor Bakamla, Jakarta, Rabu, mengatakan, saat ini Bakamla sudah memiliki tiga zona maritim yang berada di Manado, Batam, dan Ambon, namun pada awal tahun depan akan ditambahkan tujuh zona lagi. 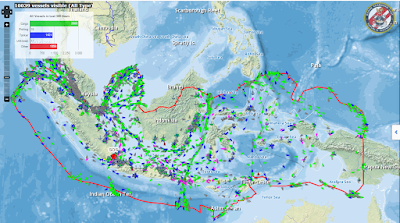 "Tujuh zona maritim yang akan dibangun, yakni di Sumatera Utara, Sumatera Barat, Cilacap, Makassar, Balik Papan, Natuna, Sorong, dan Marauke. Ini masih tentatif kita masih melakukan survei dan lokasi di sejumlah wilayah lagi. Kita masih pertimbangkan lagi untuk lebih pastinya. Di Sabang itu penting juga," katanya. 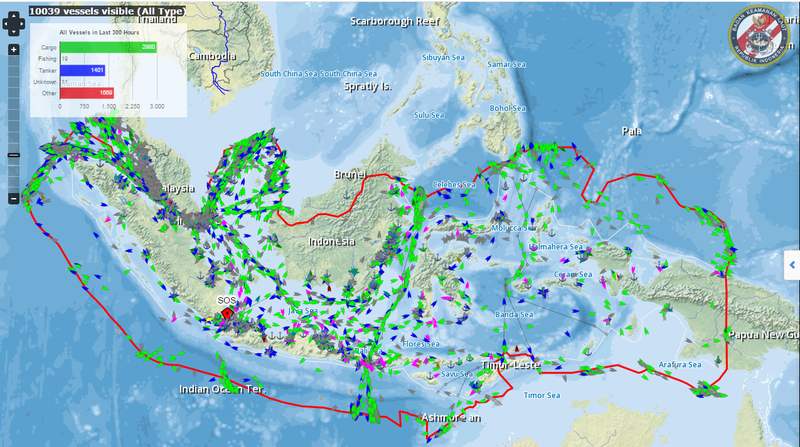 Namun, menurut dia untuk pengadaan pangkalan maritim pihaknya masih terkendala masalah aset dan infrastruktur. Hal itu hingga saat ini masih akan dipersiapkan dalam waktu dekat. "Setiap pangkalan akan dipimpin oleh eselon dua atau setara bintang satu," ucapnya. Menurut dia, setiap pangkalan maritim akan terdapat stasiun radar jarak jauh dan satelit untuk menunjang operasi. Selain itu, akan juga dilengkapi peralatan surveillance dan informasi dari satelit, yang bisa memantau siapa saja yang memasuki perairan Indonesia. Bakamla juga akan melakukan operasi Nusantara V dan Operasi Nusantara VI yang fokus di wilayah Tengah, Timur dan Barat. "Operasi di wilayah barat, kita akan melakukan patroli di Natuna, wilayah tengah di Laut Sulawesi, dan di wilayah timur di Laut Arafura. Ini dilakukan untuk menjaga keamanan di laut dari aksi-aksi ilegal, seperti pencurian ikan, people smugling, penyelundupan baranf, penyelundupan bahan bakar dan lainnya," kata Albert Mamahit. Tak hanya itu, Bakamla juga masuk dalam satuan tugas untuk membantu pengungsi Rohingya yang berada di Aceh. Selain penambahan pangkalan maritim, lanjut Mamahit, Bakamla juga bakal menambah sejumlah alat utama sistem keamanan dan keselamatan laut (alutsiskamla) yang saat ini masih minim, yakni hanya memiliki kapal patroli berukuran 48 meter. "Pada akhir tahun ini, kami akan memesan tiga kapal patroli. Bakamla juga akan dapat hibah dari TNI AL sebanyak 10 kapal. Kita juga dijanjikan didukung dari Kepolisian, Kementerian Kelautan dan Perikanan (KKP) dan Kesatuan Penjagaan Laut dan Pantai (KPLP). Mereka dukung kehadiran bakamla dengan memberikan dua unit kapal patroli. Harapan sampai lima tahun ke depan paling tidak Bakamla memiliki 30-40 kapal patroli," paparnya. Selain itu, sejak dua bulan lalu Bakamla sedang membangun kapal berukuran 110 meter di Batam, yang berfungsi memantau wilayah laut hingga wilayah Zona Ekonomi Eksklusif (ZEE) dan laut lepas. "Kita perlukan kapal besar, untuk mendukungoperasional kita bisa sampai ZEE dan laut bebas. Kapal itu bisa didarati helikopter. Sehingga jangkauan pantauan semakin luas. Tentunya juga akan menyiapkan pesawat tanpa awak dan pesawat intai amfibi yang bisa mendarat di laut yang sedang di buat oleh Institut Teknologi Bandung," tutur Mamahit yang baru dilantik sebagai Kepala Bakamla RI. Selain penguatan alutsista, Bakamla juga akan memperkuat sumber daya manusia, dengan merekrut para ahli teknologi dibidangnya untuk menjaga wilayah perairan. Untuk peningkatan SDM bakamla juga membangun Akademi Keamanan dan Keselamatan Laut, yang sudah dimulai sejak tahun ini. "Pendaftaran mulai bulan Juli 2015. Kuliah bulan September 2015. Sementara gedung kita pinjam dari Akademi Angkatan Laut di Surabaya. Sambil secara bertahap bangun area pendidikan kita sendiri," ujarnya. Sehingga diharapkan muncul SDM yang berkualitas untuk menjaga mengawal wilayah laut Nusantara, dimana saat ini Bakamla memiliki 500 personil. "Dalam waktu lima tahun diharapkan bisa mencapai 2000 personil," tutupnya. Australia now has the most advanced air battle space management capability in the world, with the Royal Australian Air Force’s E-7A Wedgetail aircraft achieving Final Operational Capability. The fleet of six Wedgetail aircraft reached the milestone this month with the entire capability, from physical aircraft to logistics, management, sustainment, facilities and training, now fully operational and able to support ongoing operations. The Wedgetail has already proven to be highly reliable and effective on operations and this achievement will further Australia’s capabilities. The aircraft deployed on Operation Okra in the Middle East region, completing over 100 surveillance sorties with our coalition partners, flying more than 1,200 hours. The Wedgetail is tailored to meet the specific Air Force requirements, with six Boeing 737 aircraft modified to accommodate sophisticated mission systems and advanced multi-role radar. The aircraft significantly enhances the effectiveness of Australia’s existing Australian Defence Force and civil surveillance agencies and helps maintain an advanced technological capability. 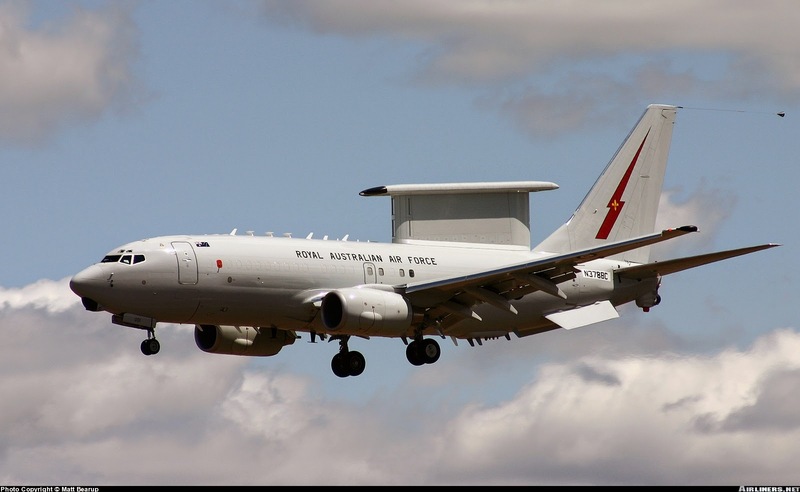 Deputy Chief of Air Force, Air Vice-Marshal Gavin Davies, AO, CSC said the E-7A Wedgetail provides Australia with the ability to control and survey vast areas of operation, and contribute to Australia’s modern and fully integrated combat force under Plan Jericho. “The aircraft’s advanced multi-role radar gives the Air Force the ability to survey, command, control and coordinate joint air, sea and land operations in real time,” Air Vice-Marshal Davies said. The home operating base for the Wedgetail aircraft is RAAF Base Williamtown in New South Wales. MANILA (PNA) --- While well aware of the excellent capabilities of the Lockheed P-3 "Orion," which the Japan Maritime Self Defense Force (JMSDF) is planning to retire within a few years time, Philippine Navy (PN) flag-officer-in-command Vice Admiral Jesus Millan said that acquiring and operating such aircraft is within the exclusive purview of the Air Force. In a message to the PNA, the PN chief said that the P-3 is a long range aircraft that requires huge support systems and such capabilities make it ideal for the Philippine Air Force (PAF). "The P-3 is well suited) for future PAF (long range patrol) requirements," he added. 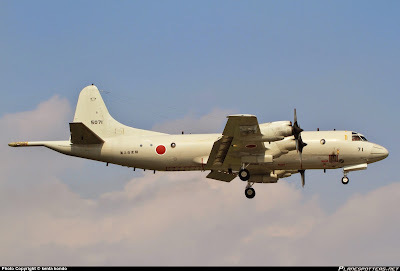 The JMSDF is operating 70 units of the P-3. It is planning to replace the former its homemade Kawasaki Heavy P-1 patrol aircraft which has twice the range of the "Orion"over the next five years. The Orion is a four-engine turboprop anti-submarine and maritime surveillance aircraft developed for the United States Navy and introduced in the 1960s. Lockheed based it on the L-188 Electra commercial airliner. The aircraft is easily recognizable by its distinctive tail stinger or "Mad Boom," used for the magnetic detection of submarines. It has a range of 2,380 nautical miles and a maximum speed of 311 knots. While the Kawasaki P-1 is a Japanese maritime patrol aircraft which intends to replace the P-3. Japan took delivery of the first two P-1s last March 26, 2013. It has a range of 4,320 nautical miles and top speed of 450 knots. "We will just maintain light to medium-lift fixed aircraft to support (the) extended range) of our fleet," he added. Millan also stressed that the PN and the rest of the Armed Forces is still waiting for guidance from the national leadership on the outcome of their discussions on what help the JMSDF can extend to them. 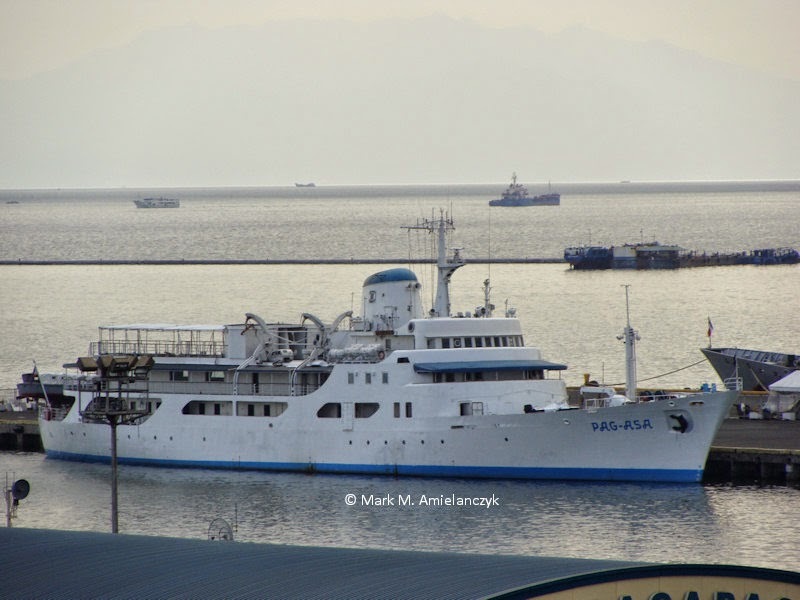 MANILA (PNA) -- BRP Ang Pangulo (AT-25), the presidential yacht, has been allocated the sum of Php5,759,320 for her "deploy, sustain, repair and training" (DSRT) cycle. Winning bidders are required to deliver the items within 15 calendar days. BRP Ang Pangulo was acquired by the Philippine government in 1959. The yacht was first used by President Carlos P. Garcia for entertaining. She was built in Japan as part of that country’s war reparations to the Philippines. 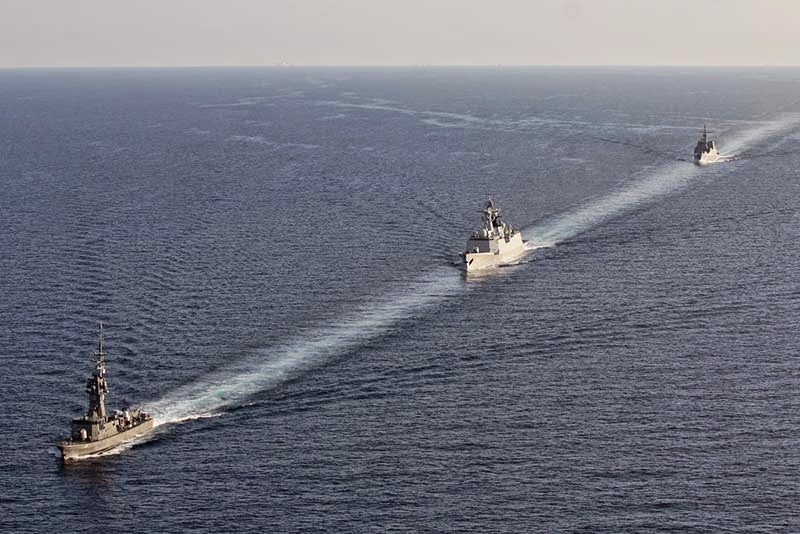 The Republic of Singapore Navy (RSN) and the People's Liberation Army (Navy) (PLA[N]) concluded the inaugural Exercise Maritime Cooperation, a new bilateral naval exercise series, earlier today. 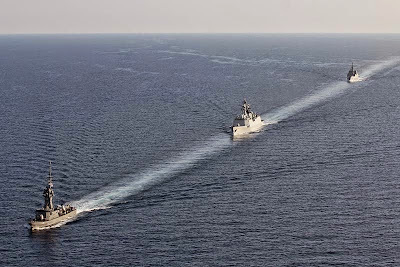 The four-day exercise, which took place on 20 May and 23 to 25 May 2015, involved the RSN's Formidable-class frigate (RSS Intrepid) and Victory-class missile corvette (RSS Valiant), as well as the PLA(N)'s Jiangkai II-class frigate (Yulin). The exercise comprised conventional naval warfare serials such as gunnery firings and manoeuvring drills. Personnel from the two navies also engaged in exercise planning and combined simulator training ashore. Speaking at the opening ceremony on 20 May 2015, RSN Fleet Commander Colonel (COL) Lew Chuen Hong highlighted the growth in professional interactions between the two navies. He said "[both navies can] learn from each other and deepen professional knowledge to strengthen mutual trust and understanding." The ceremony was co-officiated by COL Lew and PLA(N) Commander South Sea Fleet Rear Admiral (RADM) Shen Jinlong. RADM Shen added, "Exercise Maritime Cooperation reflects our common goals and beliefs, and is a new achievement of the exchanges and interactions between both our navies." This year marks the 25th anniversary of the establishment of Singapore-China diplomatic ties. Exercise Maritime Cooperation is a milestone in the bilateral defence relationship, and maintains the positive momentum achieved under the Four-Point Consensus agreed between Minister for Defence Dr Ng Eng Hen and Chinese Minister of National Defense General Chang Wanquan during Dr Ng's visit to China in November 2014. The introduction of this new bilateral naval exercise series underscores the warm and growing ties between the two countries. Such exercises promote mutual trust, enhance the interoperability between the RSN and PLA(N), and also provide good opportunities to deepen people-to-people ties and friendship. Williamstown, Victoria - A further two Air Warfare Destroyer (AWD) blocks manufactured at BAE Systems’ Williamstown shipyard have been sent to Osborne, South Australia. BAE Systems Director of Maritime Bill Saltzer said: “Our AWD Project team has again delivered a quality product, on schedule. 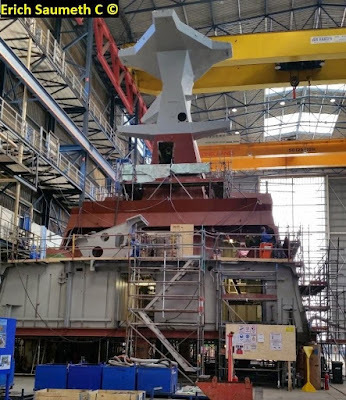 Both blocks (111 and 415) for ship 3 were accepted by AWD lead shipbuilder ASC following inspections at the Williamstown shipyard prior to dispatch. Work is continuing on the remaining eight blocks for ship 3 which will be completed early next year. 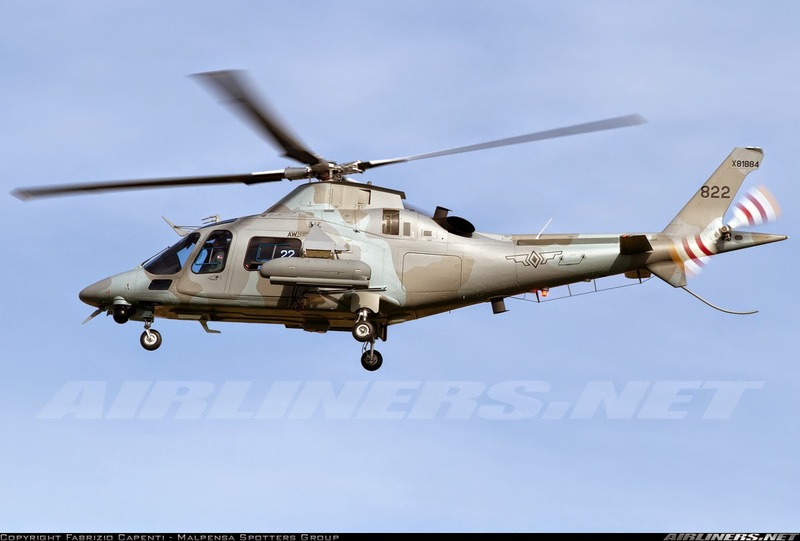 MANILA (PNA) -- The armament packages for the Philippine Navy's last two AgustaWestland AW-109 "Power" naval helicopters are now being processed and subjected to a technical inspection and acceptance committee. This was disclosed by Philippine Navy (PN) public affairs office chief Cmdr. Lued Lincuna in an message to the PNA on Friday. "The armament packages are now (undergoing processing) by the technical inspection and acceptance committee. 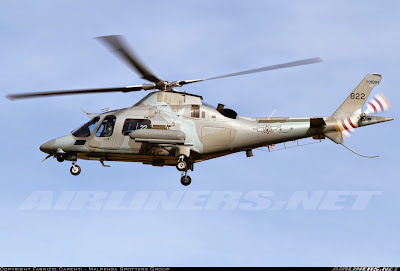 Hopefully, within a month or so, the weapons will be given to the Navy for installation at the AW-109s," he added. Weapon systems of the AW-109s consist of rocket and machine gun mounts which arrived in the second week of May. The last two AW-109 airframes arrived in the Philippines last December. This is part of the five-helicopter deal, worth Php1.33-billion, signed by the Philippines with AgustaWestland in early 2013. Three of the AW-109s were delivered and commissioned in Dec. 22, 2013. The armed versions of the AW-109s will be armed with machine guns, 20mm cannons and possibly, with air-to-ground rockets. The ability to operate from small ships in high sea state enables the AW-109 to perform its mission when many others helicopters would be confined to the ship’s hangar. KUALA LUMPUR – Tentera Udara Diraja Malaysia (TUDM) masih menilai tawaran syarikat penerbangan Sweden, SAAB berhubung pembelian 16 buah pesawat pejuang Gripen NG sebagai aset tambahan kepada unit pertahanan udara negara. Timbalan Presiden SAAB, Thomas Lindén berkata, perkembangan kerjasama masih di peringkat awal dan TUDM sedang menilai tawaran bersama-sama DRB-Hicom, selaku rakan kongsi tempatan. “Dengan perkembangan semasa Malaysia berhubung pembentangan Rancangan Malaysia Ke-11 (RMK-11), kami berharap urusan jual beli antara SAAB dengan TUDM dapat direalisasikan melalui peruntukan dalam aset ketenteraan bagi Kementerian Pertahanan. “Pesawat pejuang Gripen NG yang sebelum ini pernah mengambil bahagian dalam Pameran Udara dan Maritim Antarabangsa Langkawi (LIMA) telah menerima maklum balas positif dan mewujudkan minat di semua peringkat,” katanya kepada selepas menghadiri seminar Sistem Pertempuran Udara di sini hari ini. Seminar yang berlangsung selama dua jam tersebut disampaikan Ketua Jurutera dan Pengurus Produk SAAB, Knut Övrebö di Dewan Bestari, Universiti Pertahanan Nasional Malaysia (UPNM) itu turut dihadiri Naib Canselor UPNM, Jeneral Tan Sri Zulkifli Zainal Abidin. Gripen NG dilengkapi sistem pertempuran dan pelancar peluru yang canggih dan boleh ditempah mengikut spesifikasi dikehendaki serta merupakan antara pesawat terawal yang memberi fokus kepada pertempuran di medan udara. Sementara itu, Duta Sweden ke Malaysia, Bengt Carlsson berkata, syarikat Sweden telah banyak menyumbang kepada pertumbuhan ekonomi Malaysia dan berharap kerjasama dengan negara ini dapat ditingkatkan dalam bidang pertahanan pula pada masa akan datang. WELLINGTON, New Zealand — New Zealand's budget for 2015/16 will include NZ $3.07 billion (US $2.24 billion) for the New Zealand Defence Force (NZDF), down $10 million from last year. Almost $1.99 billion is going to the three armed services: The Army's budget rises 2.3 percent to $742 million, the Royal New Zealand Air Force (RNZAF) receives 2 percent more with $759 million, and the Royal New Zealand Navy's budget increases 3.8 percent to $492 million. Budget estimates reveal that all three services underspent last year; the Army by $11 million, the Air Force by $10 million and the Navy by $7 million. The Ministry of Defence's budget for appropriations, however, has been substantially cut, from $414 million to $239 million. However, Defence Minister Gerry Brownlee says the ministry will receive new operating funding of $27 million over the next four years. Programs include $105 million to upgrade the Navy's two frigates, $40 million for Kaman SH-2G(I) Seasprite helicopters, $7.4 million for new digital radios for the NZDF and $7 million on pilot training. There is also $25.4 million budgeted for the two-year "Building Partner Capacity" mission to help train the Iraqi Defence Force. Over the next four years, the Security Intelligence Service and the Government Communications Security Bureau will each gain $20 million, although for the coming year the intelligence service receives $5 million more and the security bureau $5 million less than last year. "The extra funding will ensure New Zealand buys equipment that is fit for its needs, and acquires it on time, to budget, and to the specifications the government has agreed," Brownlee said. However, Brownlee acknowledges that the government has to replace "billions of dollars" worth of equipment over the next 15 years. Independent defense analyst Gordon Crane told Defense News that later this year, the next five-year defense white paper is due to be published and will likely provide details of intentions to replace major platforms, including the Navy's 27-year-old tanker and two Anzac-class frigates, commissioned in 1997 and 1999. 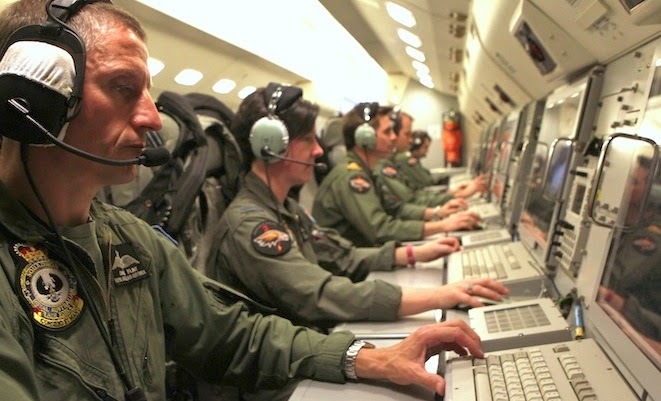 Also due to be replaced are the Air Force's fleet of five C-130H Hercules — one of which recently celebrated 50 years of operations — together with the six P-3K2 Orions, in service since 1966. "They all are significantly expensive platforms to replace individually, only they are all coming to the end of their operational lives within a few years of one another," Crane said. 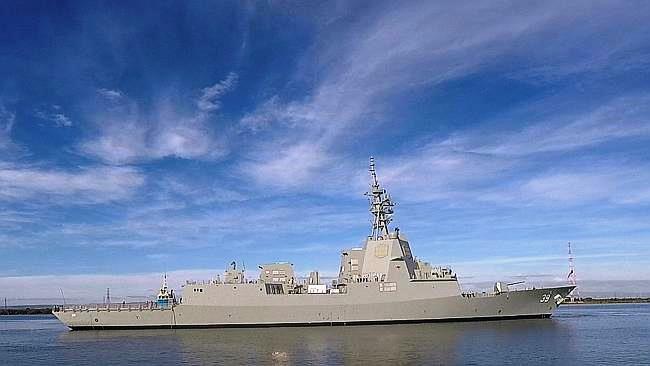 "There was noticeable opposition to buying the Anzac frigates originally and the government of the day may face similar protests should it propose replacing the two frigates with three combat ships." At this year's IMDEX Asia exhibition, TKMS Germany provided some technical details of new conventional submarines Type 218SG. 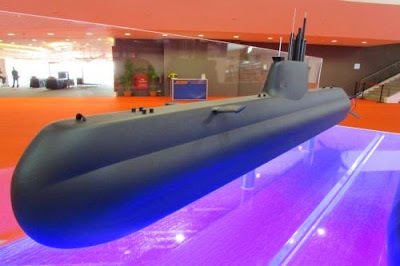 As we know, based on a request from the Navy in 2013, Singapore has taken the decision to buy at least two units of submarines from the German shipyard Howaldtswerke-Deutsche Werft. The German manufacturer beat other bidders include the Swedish Kockums shipyard. New Singapore Navy submarines built in HDW shipyard in Kiel, northern Germany. At IMDEX Asia announced that Type 218SG will have a length of 70 meters and a width of 6.3 meters. Displacement at the surface will be 2,000 tons, a total of 28 officers and sailors needed. Estimated speed and range are still unknown. The unit will be designed to carry heavy torpedoes and fired cruise missiles. Torpedo tubes will also be used for landing troops and deep sea submersible vehicles for special forces. The main tasks will include patrolling submarines in waters controlled by Singapore and protect the economic exclusive zone. The units can also be used for the observation and analysis of the marine environment, detection and removal of sea mines, conduct reconnaissance and support activities carried out by the army in the coastal region. The first Type 218SG submarine will be completed in 2020. To enter service two years later, after passing through the sea acceptance tests and final test, as well as the completion of the training program for the crew. Both units should be in line 2025. New submarines will complete two Singapore Navy fleet in service : two Archer-class submarines (1,400 tonnes surfaced) the former Swedish Västergötland class submarines which nearly 30 years old, RSS Archer (ex-HMS Halsingland) and RSS Swordsman (ex-HMS Vastergotland). Indonesian shipyard PT Lundin and turret manufacturer CMI Defence are working on an innovative craft aimed at the riverine and amphibious assault market. Dubbed the X18 Tank Boat, the design essentially wraps a boat around a CMI gyrostabilised 105mm turret, according to the head of PT Lundin, John Lundin. ‘We identified the need for better boats for riverine operations and amphibious assault operations for countries without good air support some years ago,’ Lundin told Shephard. 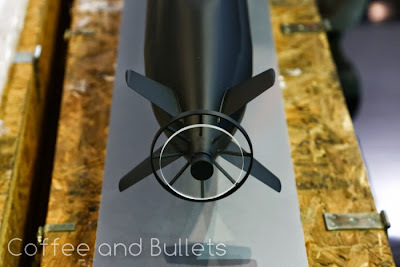 They began initial discussions with CMI three years ago, quickly identifying the company’s 105mm as having the necessary firepower and elevation for the mission. ‘That elevation also allows the gun to be used as artillery if needed,’ added CMI’s local representative Patrick Ledig. PT Lundin has used its expertise in advanced composites to design the 18m craft to ‘wrap around the gun’. ‘We’ve used a lot of existing technologies and put them together in an innovative design,’ Lundin stated. The companies believe that marrying existing technologies has allowed them to jump-start the engineering process and they have already conducted CAD and structural design feasibility studies. 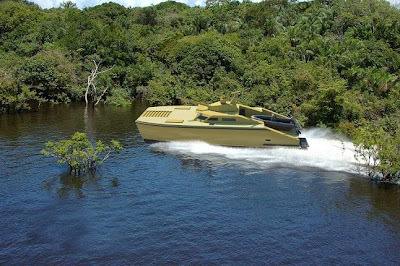 The X18 only has a 0.8m draught making it ideally suited for the confines of riverine operation and is propelled by two MJP waterjets making it highly manoeuvrable. According to PT Lundin, the boat should be capable of maximum speeds of 30kts and have a range of some 900nm. The size needed to accommodate the 105mm also means that alongside the crew of six the X18 can also carry up to 20 troops. Although it is a composite design, Lundin said that the crew areas would have a level of ballistic protection. 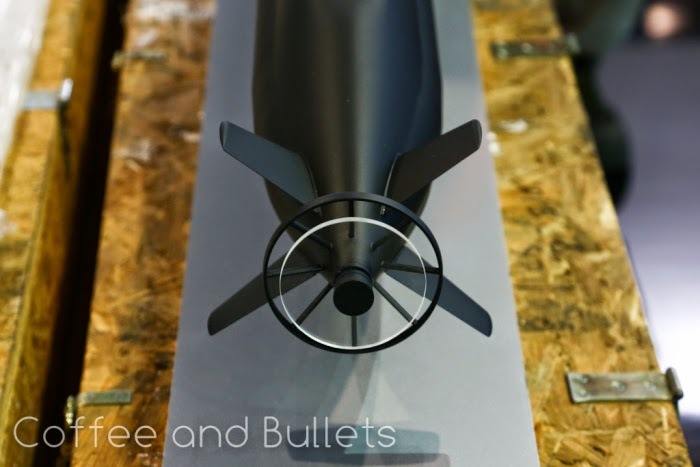 ‘We believe we will be able to give protection against 7.62mm, but the weight costs of moving up to 12.7mm were prohibitive,’ he added. Further crew protection would be provided by integrating a number of close-in systems. The company has already had discussions with Bofors about potentially integrating its Lemur fire control system that would integrate a remote weapon station designed to carry missiles, weapons up to 30mm and 40mm AGL. Malaysian Batch 2 MBT : Twardy or Altay ?